In this case, the less can be more appealing because it's simple to put together, easy to cook and leaves you with a quite tasty finished product. I like dinners like this for those nights that you would rather cook at home, but being a 5 star chef is not a necessity. 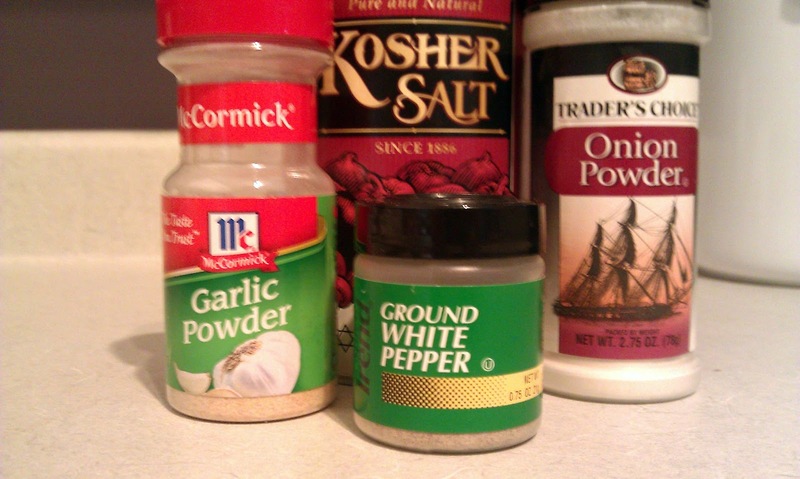 To get started, just grab a few things from your spice cabinet and your meat tenderizer. I am a fan of the tenderizer when it comes to chicken breasts because making them all the same thickness allows for much more even cooking time. I cannot stress enough how nice I find it to throw something together at home that comes together quickly, tastes good and leaves time for the epic battle that can be a good game of Uno with the family. 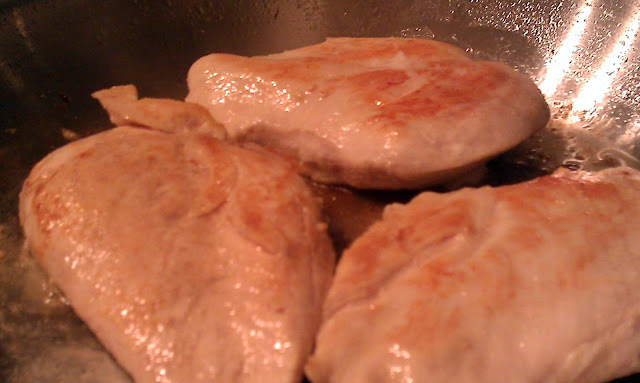 Remove chicken breasts from packaging, rinse under cold water and pat dry with paper or cloth towel. 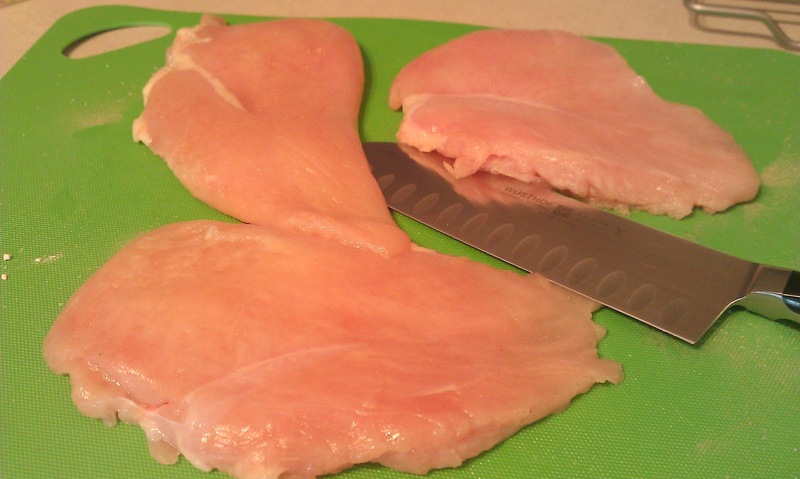 Place chicken breasts on cutting board* and cover with saran wrap. Pound out breasts until even in thickness. Approx 1/2 - 1 inch thick. Warm a 12" skillet on the stove top with 1 Tbls vegetable oil. When the oil starts to glisten and look shimmery, it is ready to cook the chicken. Place chicken in skillet and cook on one side for approx 4-5 minutes. Once the side has seared, gently lift and flip over the chicken breast. Cook the other side for 4-5 minutes.